Ashley MacIsaac is our Friday night musical guest! A wonderful evening out in the open sky and beneath the stars. The Friday night program has been a favourite of many visitors! Honouring the tradition of the tattoo and providing a sneak peak of some of the events and attractions that you can experience all weekend long! The evening begins with the formal Tattoo’d in Tradition ceremony hosted by Scottish musician, actor and educator Gillebrìde MacMillan. Gillebride MacMillan is an award-winning Scottish Gaelic singer, educator and author. His warmth and humour as well as his knowledge of all things Scottish have made him a fan favourite in Fergus. It does not hurt that he has a second career as an actor. 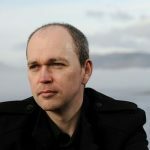 He appeared as Gwyllyn the Bard in the immensely popular STARZ television series, Outlander. 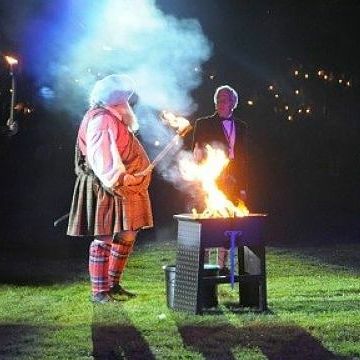 Visitors will be carried away by the skirl of the pipes, the swirl of the kilts, the precision marching, all to the rapid fire of the snare drum and the hypnotic beat of the bass drum. The massed bands are indeed Scotland Without the Airfare. The pipes, pomp and pageantry of the tattoo will be followed by a world class fireworks display. The Friday night tattoo will touch all of your senses. It makes everyone Scottish – even if it is just for a night. After this, Ashley MacIsaac will cap the night off with a performance under the stars. 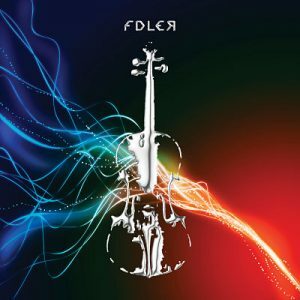 With his most recent album, Fdler, he brings traditional Celtic fiddle music into the 21st century, adding a modern flair. 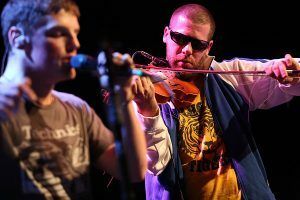 Ashley MacIsaac earned his chops at an early age, taught by some of the legendary greats of his native stomping ground, Cape Breton. He moved on to headline all over the island in halls, clubs, barns and kitchens. His breakthrough album, Hi How Are You, was released in the mid 90’s and the accolades and awards rolled in. With the touring, the interviews and the appearances the persona took shape and the legend took hold. In the seventeenth century, when British troops served in Holland, it was the custom for a drummer to march through the streets beating his drum to warn the troops that it was time to leave the taverns and return to their billets for the night. The Dutch innkeepers, at the sound of the drum would “doe den tap toe” or ” turn off the taps,” the local last call equivalent of “Last Call”. In English, “tap toe” became “Tattoo” and, over the years, the drummer was accompanied by a bugle player or a piper. Such groups were the beginnings of the regimental band. What started as a practical daily routine in army life is today the military tattoo, a show featuring the lively rhythm of marching bands, elegant dances, the stirring cadence of the pipes and drums, and the breathtaking military displays. 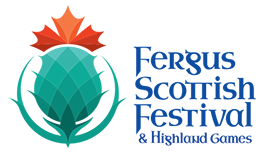 Our Tattoo’d in Tradition ceremony honours the traditions of Scotland’s past and celebrates Scottish culture in Canada. We are always excited to join together for the communal singing of our National Anthem, and to welcome our talented pipe and drum bands, as well as all of our honoured guests. Join us as we host the Gathering of the Clans and the Lightin’ of the Hearth on our Main Field; a stunning start to an incredible weekend together!